Our hotel in Kathmandua, The Dwarika’s Hotel, is a treasure of a find. 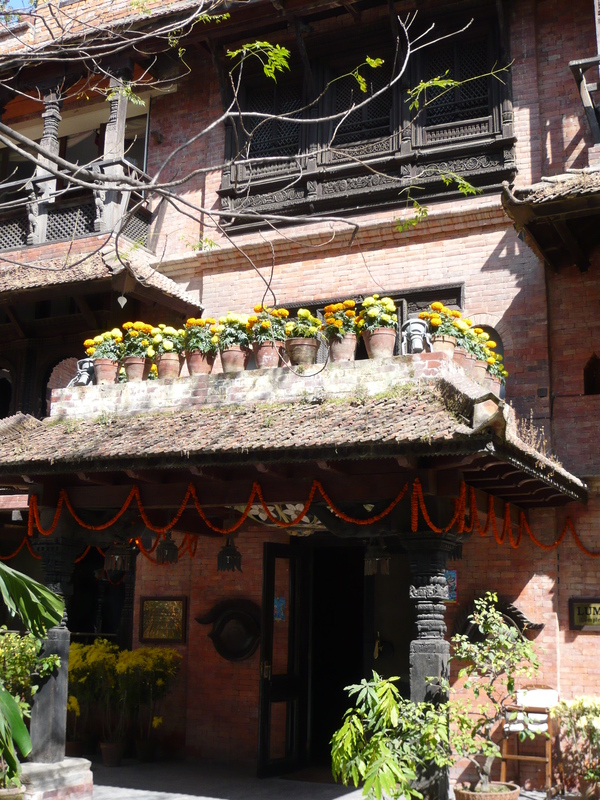 It is a World Heritage Hotel (one of only two in Nepal) and is a sort of living museum. The hotel has a unique and fascinating history. 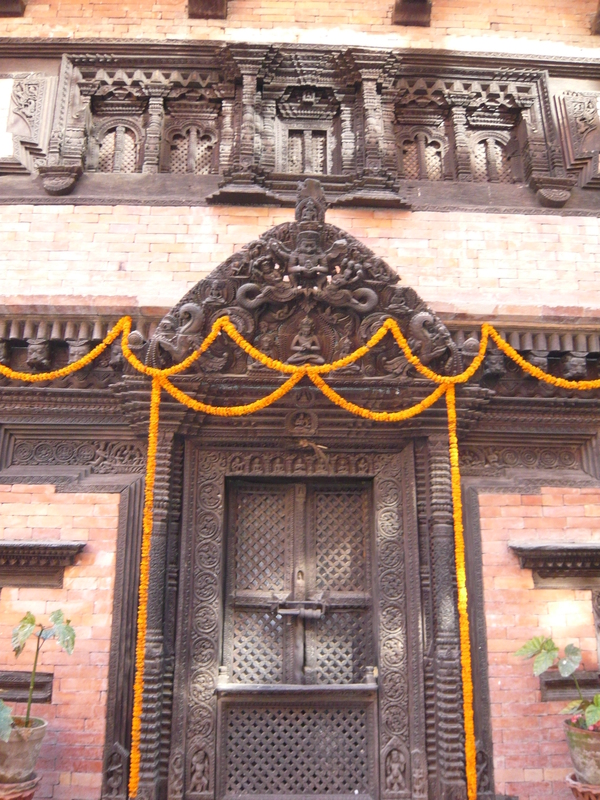 It all began in 1952 when the founder of the hotel, the late Dwarika Das Shrestha was on one of his morning jogs around the city and noticed that several ancient, exquisite woodcarvings dating from the 14th century were being cut down by carpenters to be used as firewood in the face of modernization. Horrified and angry that these ancient cultural jewels were being destroyed, he begged them to stop. Over the years, the saving, restoration and preservation of these woodcarvings became a lifelong passion and resulted in the building of The Dwarika’s Hotel. 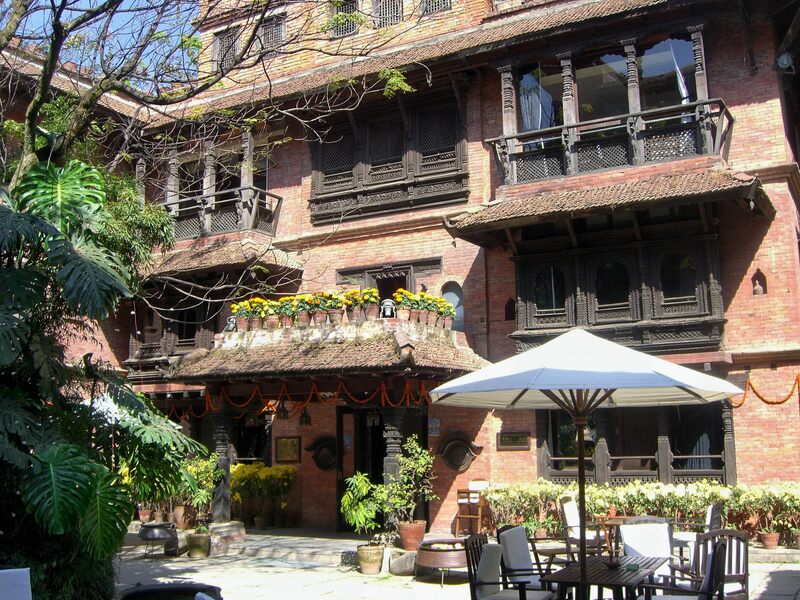 The hotel was built using these gorgeous woodcarvings and terra cotta artifacts and captures the beauty of Nepal’s ancient cities. It truly is a work of art and is continually being restored and preserved to this day. There is even a school located on the hotel grounds where carpenters are trained in the creation, preservation and restoration of the ancient woodcarvings. It is quite an excellent example of how tourism and cultural preservation can go hand and hand. Here are some photos of the lovely hotel. Wow, that hotel looks like quite the place to stay. When I eventually do make it to Nepal, I’ll certainly be looking this up! Thanks for the tip! Beautiful! I love the idea of the school for carpenters in the hotel’s grounds. Looks like a great find.